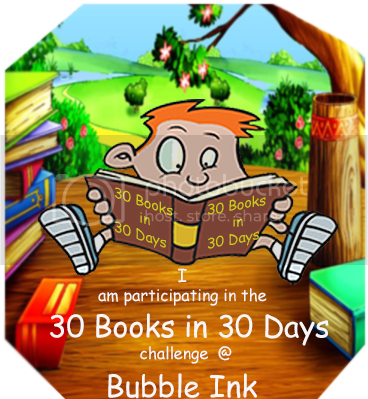 I must thank Falak for sending me this book as part of Tale In Mail kit for Friends Theme. We are reading this book on Day #2 of 30 days 30 Books challenge. 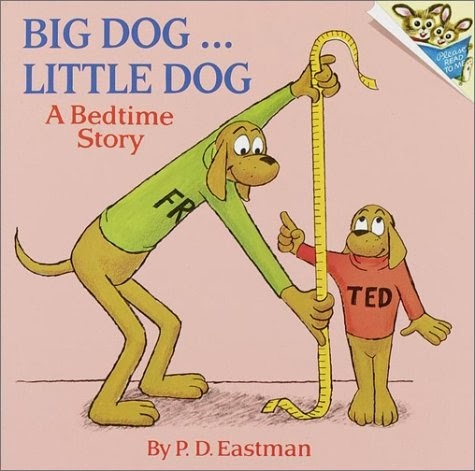 The story starts off by introducing the big dog and the little dog, Fred and Ted. 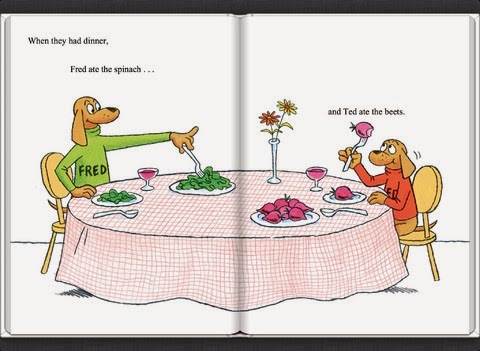 It describes the two dogs, saying what they like, what characteristics they have and what they do. Fred and Ted then go to a trip to a mountain. Ted skied all day long and Fred skated all day long. 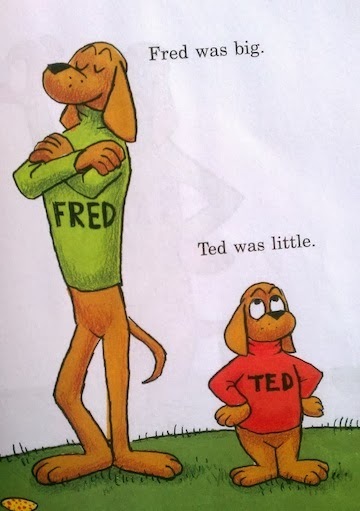 Then, they go to sleep in a small hotel but, neither of them can sleep because Fred’s bed is too small and Ted’s bed is too big. 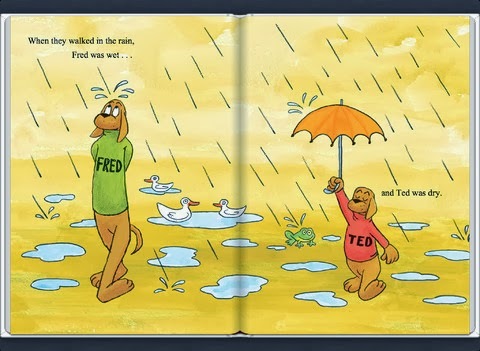 Fred and Ted went for a walk the next day and talked about their problems. A bird overhears their conversation and gives them a solution to their problem, switch beds. Fred and Ted switch beds and sleep comfortably for the rest of the day. The message that the author is trying to get through is to not make big problems out of little problems. Its nice a bed time story book for younger kids. It also teaches sizes, opposites and problem solving. Medha loved the rhyming of opposites. Medha while reading some pages she related her with Ted and Fred is our neighbor her favorite Clemme akka.